You have the best Shadow shots!! love. Love shadow shots! I recently stumbled across one I LOVE. You'd probably appreciate it, too! Great shadow shot! Looked around a bit and love your photography. Oh, and I LOVE your profile photo... it's fantastic!! A very snazzy shadow portrait! Love it! Great one....the fringe from your scarf and the inclusion of the shoulder bag-really great. 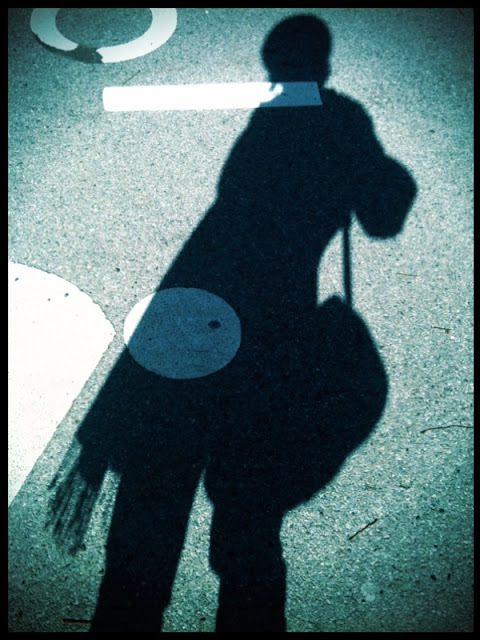 You've had such fun with your shadow captures! I really like the simplicity of them.